A Masterwork and a Must Read. This book will be a gift to all of my children, when they are old enough to read and understand. The first book in years that i immediately began again. A wonderful journey through history. Fun and eye opening at the same time. Highly recommend. What other book might you compare The Life and Operas of Verdi to and why? 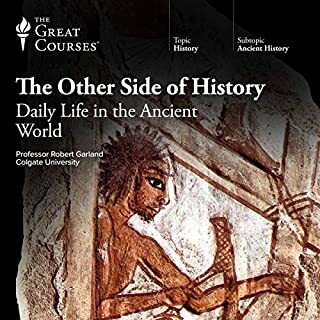 Prof. Greenberg does and excellent job with these courses. 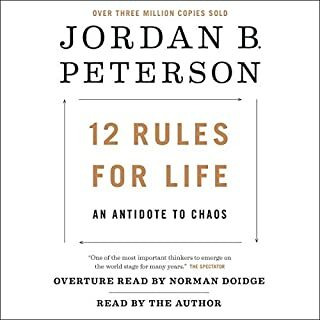 I signed up for Audible 19 months ago and have listened almost exclusively to his courses. 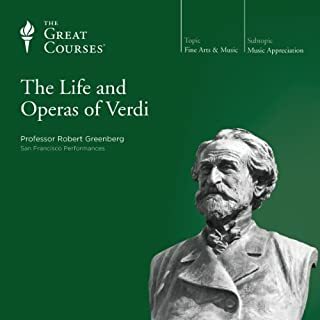 Having just finished Verdi, I have listened to all of his courses. It took over 13 days worth of listening according to the Audible clock. 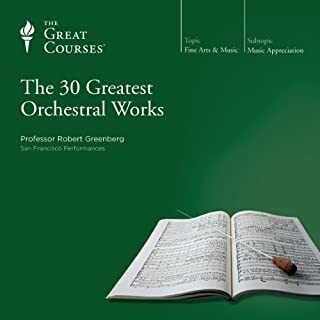 My appreciation for music and its composers has been greatly enhanced by listening to Prof. Greenberg's courses. I highly recommend listening to his courses. Dmitri Shostakovich is without a doubt one of the central composers of the 20th century. Drawing on both the flood of declassified documents from the Soviet Union that began in 1991 and Shostakovich's own extraordinarily frank posthumous reminiscences, Professor Greenberg shows how Shostakovich, who, in the words of a friend, "did not want to rot in a prison or a graveyard" was still unwilling to become a docile instrument of the Soviet regime. What made the experience of listening to Great Masters: Shostakovich - His Life and Music the most enjoyable? The history that is learned along side of Shostakovich's music. 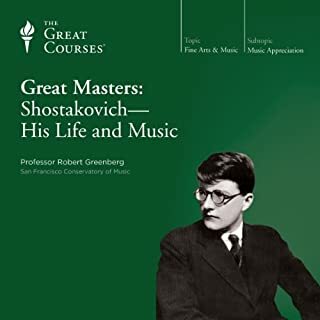 What was one of the most memorable moments of Great Masters: Shostakovich - His Life and Music? His survival in the Soviet Union. This is about the 12th Greenberg lecture I've listened to, and I have enjoyed them all. He is an excellent educator. Starting another today, Bach and the High Baroque. 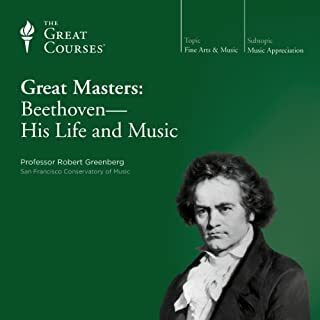 Would you consider the audio edition of Great Masters: Beethoven - His Life and Music to be better than the print version? What other book might you compare Great Masters: Beethoven - His Life and Music to and why? That he didn't edit the ugly with the good. Laugh, and think deeply about the man who wrote the music I love to play and listen to. 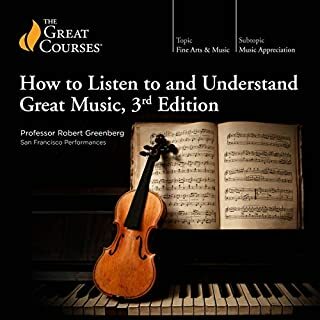 What did you love best about How to Listen to and Understand Great Music, 3rd Edition? Well structured, fun to listen to. Yes. I have listen to four so far and am about to start a fifth. 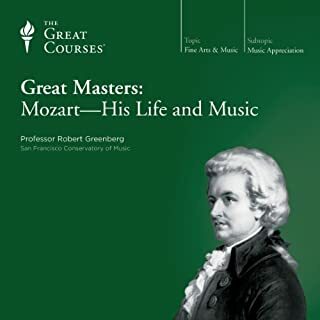 What did you love best about Great Masters: Mozart - His Life and Music? Unedited, unsugar coated, and as it was summary of his life. Very eye opening and it makes me appreciate his music so much more. I thought I had my favorite symphonies on my iphone, but wound up buying several versions of pretty much every work highlighted. Sorry Bartok estate.